Colour Streams has created a range of hand dyed silk embroidery threads that are perfect for creating dimension, perspective and texture when hand stitching, with 5x different types and thicknesses to choose from. 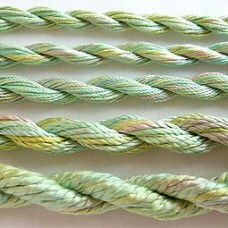 Aurora is a pure silk thread that is similar to Perle No.1, with a high lustre and a medium twist. &.. 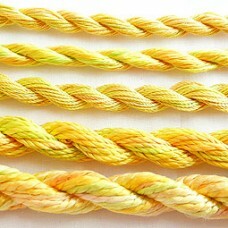 Exotic Lights is similar to a Perle No.3 with a medium lustre and a high twist. Fantastic for ..
Ophir is similar to Perle No. 8 with a high lustre and a high twist. 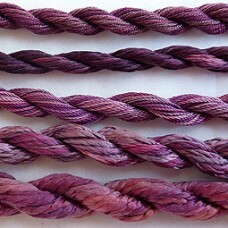 This thread is suitable f..
Silken Strands is a 6 stranded soft silk thread with a low lustre and a high twist. It is easi..